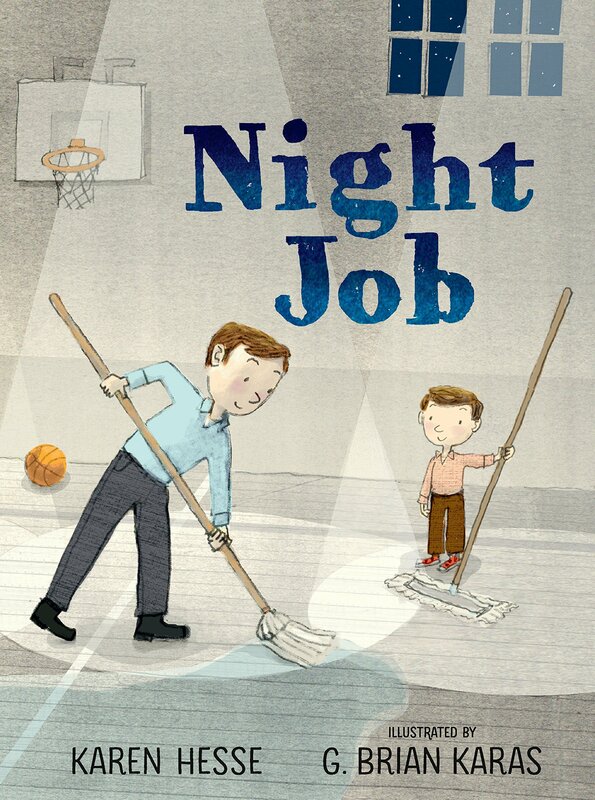 Summary: A boy tells about his Friday evenings with his father, a school custodian. The two ride Dad’s motorcycle to the school, then begin the weekly cleaning. Even though there’s lots of work to be done, it’s clear they enjoy being together and helping each other out. They listen to a ballgame on the radio, and take a break to eat sandwiches in the courtyard. 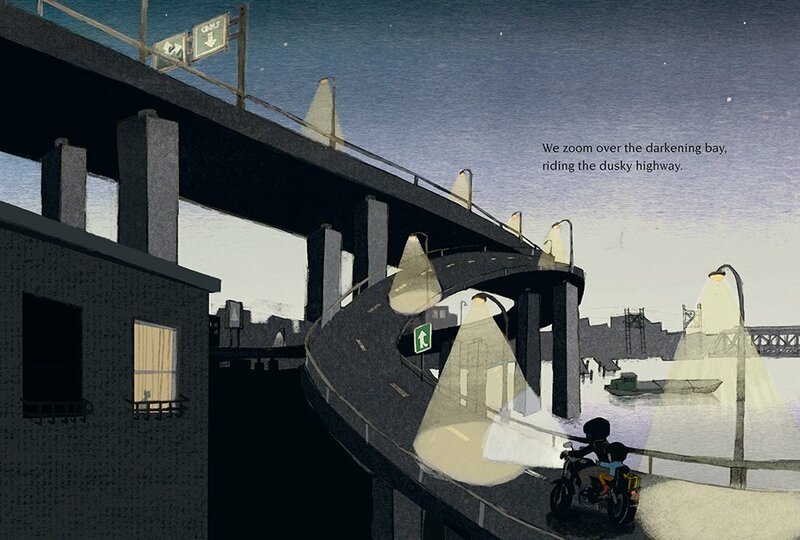 Eventually, the boy falls asleep, as his father continues to work until 4:00 a.m. As they head for home, the sun is starting to rise. They relax in their living room, reading the paper that’s just been delivered, and at the end of the story they have drifted off to sleep together in the big recliner. 32 pages; ages 4-8. Pros: A beautiful example of narrative writing, simple but filled with sensory details, metaphors, and similes that would make this an excellent mentor text for a writing class. The little boy and his father clearly have a happy and loving relationship, and their evening of hard work seems satisfying. Cons: Seems like a pretty late night for such a little kid to put in every week. If you would like to buy this on Amazon, click here.